The 36-track, 4 disc set presents a collection of the best performances culled from six shows by the legendary group in July and August 2003 (see track list below), including material from events in Indianapolis, Pittsburgh, Darien Center, NY, Hartford, Charlotte and Raleigh … with no song repeated. The 2003 iteration of the Allman Brothers Band – founding members Gregg Allman, Jaimoe and Butch Trucks plus Warren Haynes, Marc Quinones, Oteil Burbridge and Derek Trucks – would prove to be the longest-running line-up and most consistent in its live performances. The band had just released their first album in 10 years, the Grammy-nominated “Hittin’ The Note”, and were in top shape for its accompanying tour. Originally recorded for the then-nascent “Instant Live” CD series, guest musicians on four “Cream Of The Crop 2003” songs include Susan Tedeschi, Karl Denson and Branford Marsalis. Continuing the tradition of providing quality content for fans, "Peach Picks: Cream Of The Crop 2003" will be available in an array of configurations. The full curated four-CD set will be offered, both physically and digitally. Each of the full six concerts will also be available for completists, and this marks the first time any of this music has been made available digitally. 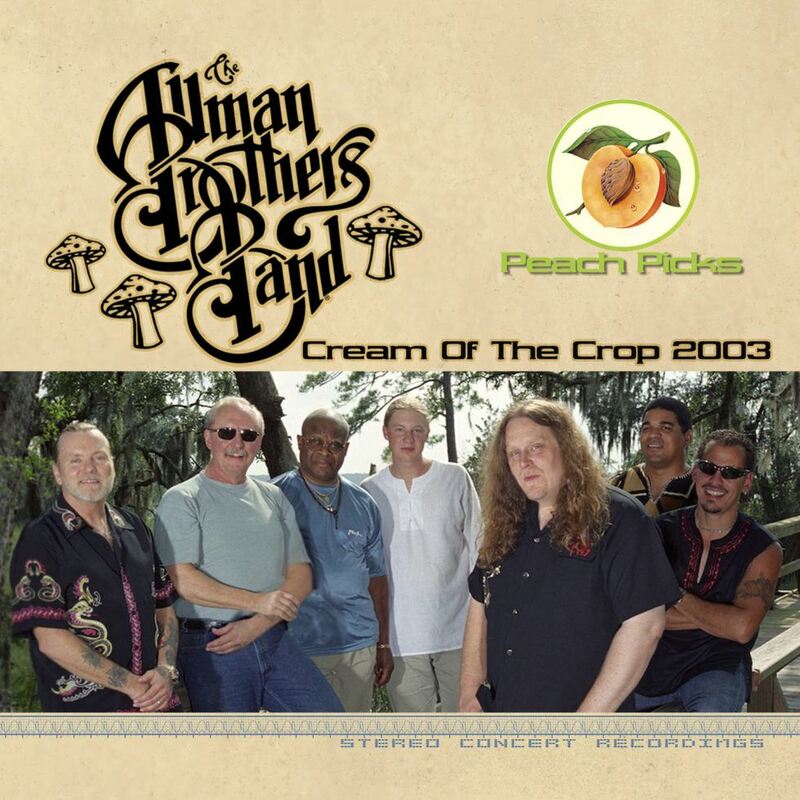 “Peach Picks: Cream Of The Crop 2003” is dedicated to the memory of Gregg Allman, who passed away in May 2017 from complications of liver cancer at the age of 69.